Climate change mitigation through carbon dioxide fixation in native forests. Reef protection through reduced erosion and run-off. Freshwater replenishment through watershed restoration. Reestablishment of endangered species habitat. Mitigation of wildfire threats through removal of fire-prone invasive plants. Opportunity for businesses and individuals to locally offset their carbon footprint from energy consumption, transportation, etc. Contributing to a green economy. Support of cultural heritage and activities. 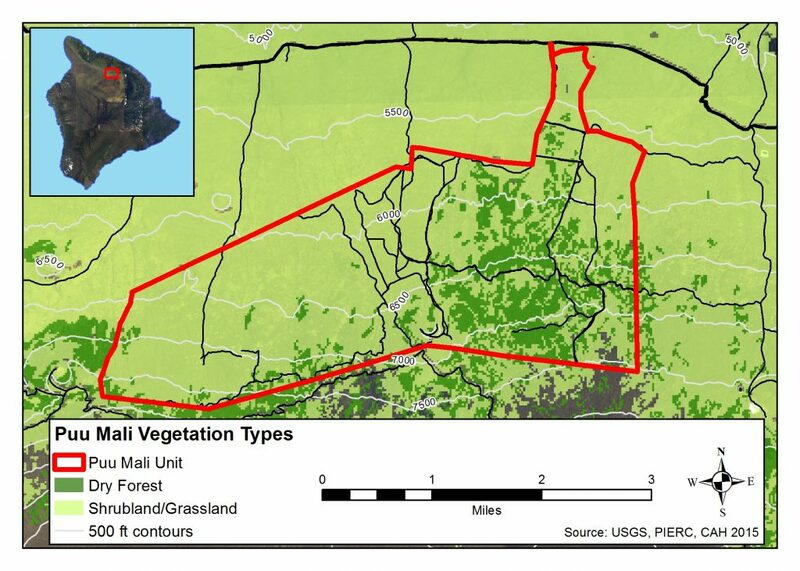 The Puʻu Mali Restoration Area (PMRA) is an area of about 5,500 acres which used to be prime forest habitat before being converted into agricultural land. The area was fenced and domestic and feral ungulates were removed. Beginning in 2004, and continuing presently, the Division of Forestry and Wildlife (DOFAW) has conducted a forest restoration program on the proposed addition to reforest agricultural grassland with the purpose to recharging the watershed and providing a long-term habitat for Palila (Loxioides bailleui). Revitalizing our native forests will help to provide a habitat for our native species. 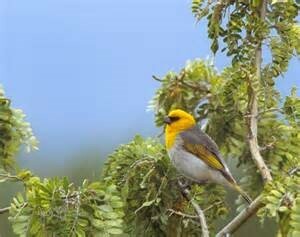 For example, the highly endangered Palila (Fringillidae Lexoides bailleui) is one of the main beneficiaries of the Puu Mali project.